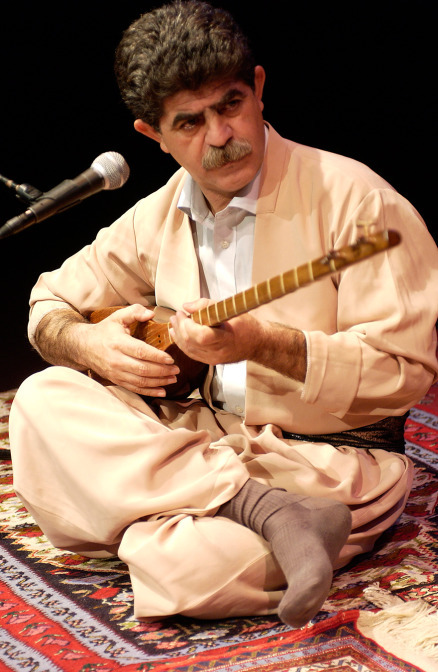 Sacred Kurdish music, rarely heard in the US, will be performed by Ali Akbar Moradi, recognized as the greatest living master of the tanbur. This ancient lute, played with a distinctive plucking and strumming style, is venerated for its role in traditional Sufi ceremonies. Moradi performs meditative improvisations from the repertoire of the Yarsan people, followers of a mystical faith in Kurdistan, western Iran. He will be accompanied on tombak and daf drums by his son, Kourosh Moradi.